Georgia workers' compensation or workman's compensation is provided to Georgia employees who are injured while performing their job or who have contracted an occupational illness. Georgia workers' compensation program is managed and administered by Georgia's State Board of Workers' Compensation (SBWC). The goal of the SBWC is "to provide superior access to the Georgia Workers' Compensation program for injured workers and employers in a manner that is sensitive, responsive, and effective and to insure efficient processing and swift, fair resolution of claims, while encouraging workplace safety and return to work". Workers' compensation or workers comp is a mandatory insurance policy that certain employers in the state of Georgia are required to purchase to protect their employees who are injured in a Georgia work injury. Mandatory workers' compensation has eliminated the rights of most injured employees to file a personal injury claim and sue their employer. The trade-off for the worker, who may have forfeited a larger payout, is immediate medical benefits and potential wage loss compensation without the need for a costly legal battle. Work injuries are generally covered if they occur while an employee is performing a job duty. Work injuries which were the result of an employee's horseplay, intoxication, failure to follow company policies or which were intentionally self-inflicted may not be covered. Medical Benefits - Medical benefits including rehabilitation and other treatments considered reasonable and necessary are covered under Georgia workman's compensation laws. This can include hospital stays, prescribed medication, doctor's visits, medical services and laboratory tests. In some cases the non-emergency care services may require approval from a panel of approved physicians. Georgia workers' comp laws also allow the employee to choose their physician, but the choice must be from a list determined by the employer. Temporary Total Disability Benefits (TTD) - Temporary total disability benefits are paid to workers who have been injured on the job and are unable to return to work due to their work injuries. Employees receiving TTD will receive 2/3 of their average weekly wage up to a predetermined maximum. TTD benefits are paid for a maximum of 400 weeks from the date of the work accident. Under some conditions, such as a catastrophic accident, TTD benefits may be extended. There is a 7 day waiting period prior to receiving TTD benefits. Workers who are injured for 21 or more consecutive days may receive payment from the first day of the work injury. Temporary Partial Disability Benefits (TPD) - Temporary partial disability benefits are paid to injured workers who are able to return to work but who, due to their work injury, are unable to make a similar wage. TPD benefits are paid at 2/3 the difference between the injured worker's average weekly wage prior to and after the work injury. 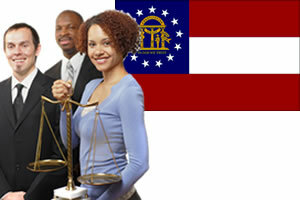 TPD benefits can be paid for 350 weeks or up to a maximum established under Georgia workers' compensation law. Permanent Partial Disability (PPD) - Permanent partial disability benefits are paid weekly to injured workers who have been permanently disabled and may be unable to work their previous job, but may be able to do alternate work. Prior to determining the compensation amount, a medical examination is conducted by an independent medical examiner. The disability examiner rates the level of impairment. Disability payments are calculated by using the American Medical Associations ratings guidelines. PPD payments are made by multiplying 2/3 of the injured worker's average weekly salary by the PPD percentage and a specified number of weeks. The number of weeks is determined according to a pre-determined schedule. The calculation for PPD benefits is not made until the treating physician has determined the worker has reached their maxim medical improvement. Death Benefits - Death benefits are paid to the surviving spouse or dependents of Georgia workers who have died from a work injury or illness. Death benefits are 2/3 of the deceased employee's average weekly wage at the time of the work injury. Death benefits are paid to the surviving spouse who has does not have children up to $150,000 maximum. Surviving children may be eligible to receive death benefits until they are 18 years old or longer if they are a full-time student. Vocational Rehabilitation Benefits - Vocational rehabilitation benefits may be offered to qualifying injured workers who are unable to return to work due to their physical health condition after a work injury. Georgia vocational rehabilitation may include: job placement, custom job training, job matching, counseling, technological accommodations and resource assistance. Not all workers will need to hire a Georgia workman's compensation lawyer, but if the injuries suffered are severe or permanent or the worker and employer have an adversarial relationship, it may be a good idea to seek legal counsel. Many workers' compensation cases are litigated in Georgia simply because the insurance company wants to pay a low settlement amount and close the case as quickly as possible. If you feel you have received poor medical treatment, if your Georgia workers' compensation case has been denied or if you have been severely injured, contact a Georgia workman's comp attorney.